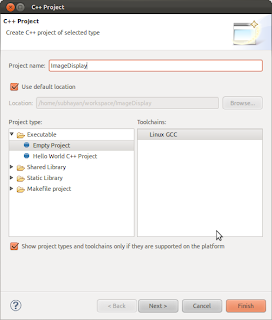 This post seeks to help you in installing OpenCV and Eclipse and setting them up on Ubuntu 11.10 Oneiric so that you can begin development straight away. What is OpenCV? 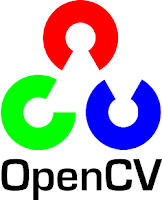 OpenCV is a library of programming functions (in C and some C++ classes) mainly aimed at real time computer vision and image processing. It is a cross platform library, first developed by Intel and now supported by Willow Garage, and is free for use under the open source BSD license. What is Eclipse? 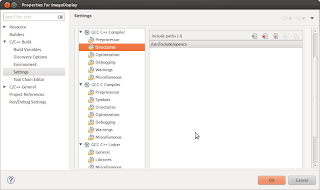 Eclipse is a multi-language software development platform comprising an IDE and lots of plug ins to help you develop applications in several widely used programming languages. 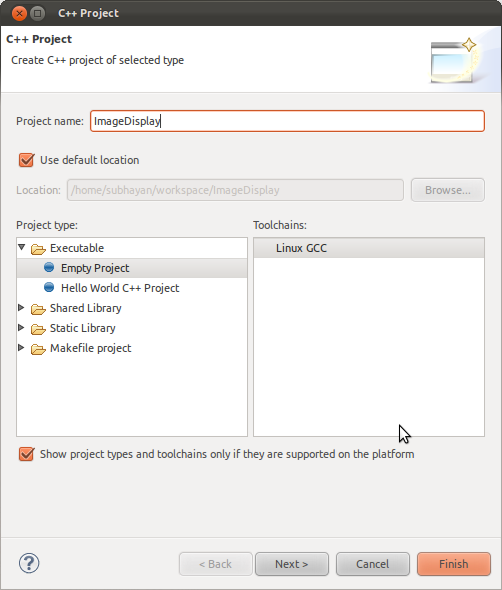 This walk through is aimed at helping you to set up OpenCV 2.3 (the latest version as of January 2012), and Eclipse CDT (Eclipse with the C Development Toolkit) on Ubuntu 11.10. Ubuntu 11.10 does come with OpenCV 2.1 in the repositories, but we want OpenCV 2.3 ... so we first begin with adding a PPA for OpenCV 2.3. Now, do the usual apt-get to get OpenCV. Note that the usual Ubuntu repos have a package called libcv-dev, however with the new PPA we are looking for a package called libopencv-dev. Now you should be able to launch Eclipse. So do that and then create a new C or C++ project. We shall write an introductory OpenCV program in C++ in this project, so we name the project ImageDisplay. (Note that I have created a C++ project and not a C project. 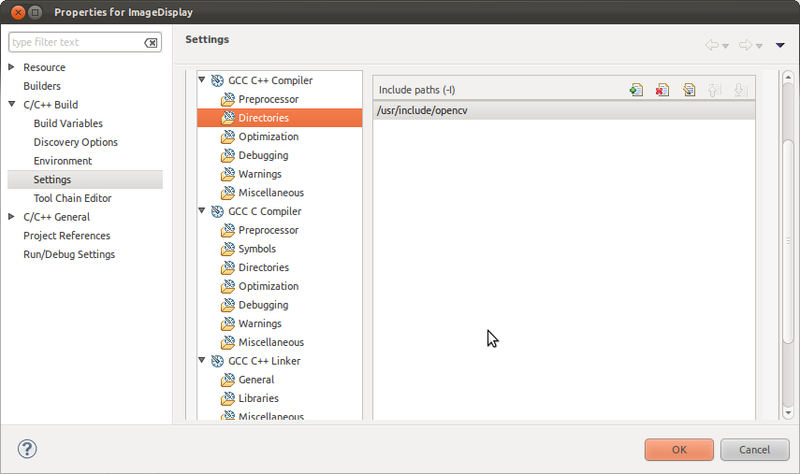 While Ubuntu comes with the default gcc compiler for C, it does not have the GNU C++ compiler, g++ by default. In case you also wish to use C++ instead of C, do a sudo apt-get install g++ to install the g++ compiler on your computer). We now have a C++ project called ImageDisplay. To enable us to use the OpenCV libraries in this project we need to include these libraries. To do that, right click on the ImageDisplay project in the Project Explorer on the left and select Properties. Go to C/C++ build in the left menu and then Settings, in the dialog box that appears. Lastly, in the Library search path, add /usr/lib. Make sure that you add these paths and directories for the Release build as well (in the Configuration bar). Now we are all set to write our first OpenCV program. Before that let us once run through what all we've done. Created a project called ImageDisplay. Configured the libraries and paths with our project. Double click main.cpp in the Project Explorer and write the following piece of code. If all goes well, when you compile and run this program, you should see a window and your image.jpg should be displayed in it. Just replace the quotes in the include statements with angular brackets. Now save this file (Ctrl+S) and compile the code (ie "build" the project with Ctrl+B). Now click on the green arrow in the Eclipse toolbar to run the code. You should see a window pop up called Example1 and your image.jpg should be in it. That should be it. If you face any problem reread this post again and follow it carefully. Else of course, you can drop me a mail. Also a very Happy New Year. Why I don't get all gaga on New Year's can be summed up nicely in the words of Mark Twain. Hello, i did all steps but when i try to build the program in eclipse it give me a error to not found the libraries. I checked the /usr/include/opencv directory and its missing all but cv.h. What could i do to fix this? are you sure you added the opencv2.3 ppa before installing using apt-get? Also, check for a folder called opencv2 within /usr/include. Yep, i added the ppa before install. About directory opencv2, it have all the new libraries, but the old one is not there (cv.h for example). It is correct? Is the program working. If it is, then there's nothing to worry. Do I have to repeat all the steps each time I start a new project? Can't I simply link them beforehand or something like that? You can simply copy a project. This retains all of the project's properties. You can then change the name in the copy and delete the source files and then write your own. Thanks a lot. It helped me to solve the eclipse undefined reference to `cv::imread(std::basic_string, std::allocator > const&, int)' issue.